Encountering pests and insects on a daily basis is a nuisance that we would all love to live without. 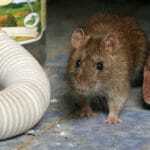 Pests can often become a big problem for many households. In some cases serious health problems can result if these insects and rodents are not handled properly. At the end of day, no one wants pests to be a part of their home because of the various risks and dangers associated with them. However, once the pest has invaded your home, it takes time, effort and commitment to eliminate them. It is important to make sure that appropriate pest control methods are taken to eliminate these unwanted house guests. While controlling and getting rid of pests is a good idea, the best way forward would be to have in place some good and time-tested pest prevention methods which could save us of a lot of bother and trouble in the long run. There are many different pest control techniques available. Pest control should be implemented by weighing the cost vs. benefit of a home free of pests. 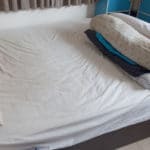 At the end of day, we should not put ourselves in a situation of exterminating pests at the expense of damaging the environment and surroundings. Green Pest Solutions uses a non-toxic pest control solution vital to ensuring a pest free environment, while still remaining eco-friendly. 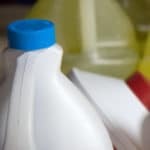 Many households tend to use highly toxic chemicals to get rid of pests from homes; all of the chemicals used by Green Pest Solutions are environmentally friendly. Toxic chemicals may be necessary on an occasional basis, but regular usage can be detrimental to the environment and its surroundings. 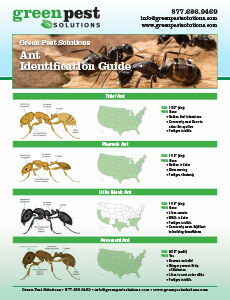 By avoiding certain common mistakes, Green Pest Solutions can minimize our homes or apartments attraction to pests. One of the cardinal mistakes is not recognizing moist soil surrounding our homes. Moist soil around the foundation of our homes is an open invitation for pests to set up permanent camps inside and outside. Inspect the perimeter of the house to maintain dry soil conditions. Check the gutters and make sure they’re clear and not blocked allowing waste water and rain water to flow freely and away from the home or building. Avoiding wood stacking next to your home is another important measure that you must take to avoid the threat of pests. 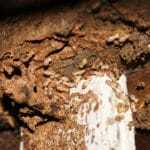 Wood is a natural home for termites, carpenter ants and other dangerous insects and reptiles like scorpions, snakes, etc. Hence, whenever possible, keep the surroundings of your home free from stacked wood. 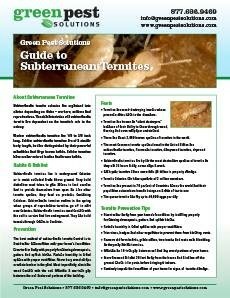 Another vital factor that is often overlooked is the importance of Green Pest Management. While use of toxic chemicals may help remove pests temporarily it may come with a heavy cost. It could damage and pollute the water table surrounding your home and could also damage the soil. Therefore, we utilize environmentally safe chemicals and proven pest prevention methods rather than combating the issue with toxic chemicals once an infestation has taken place. Call Green Pest Solutions for all your local Philadelphia pest control needs.